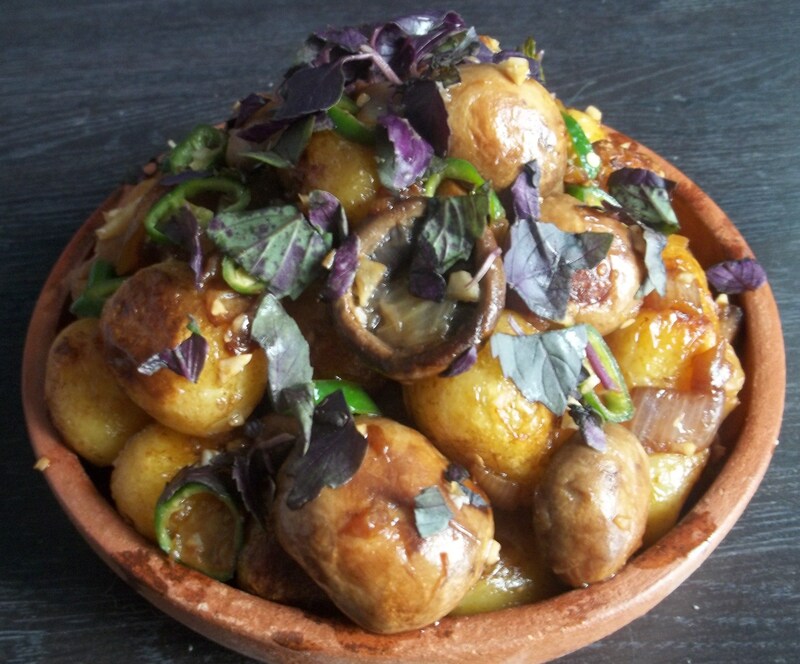 Mushroom Chashushuli is a family meal made with potatoes and mushrooms. It is especially good with new potatoes. 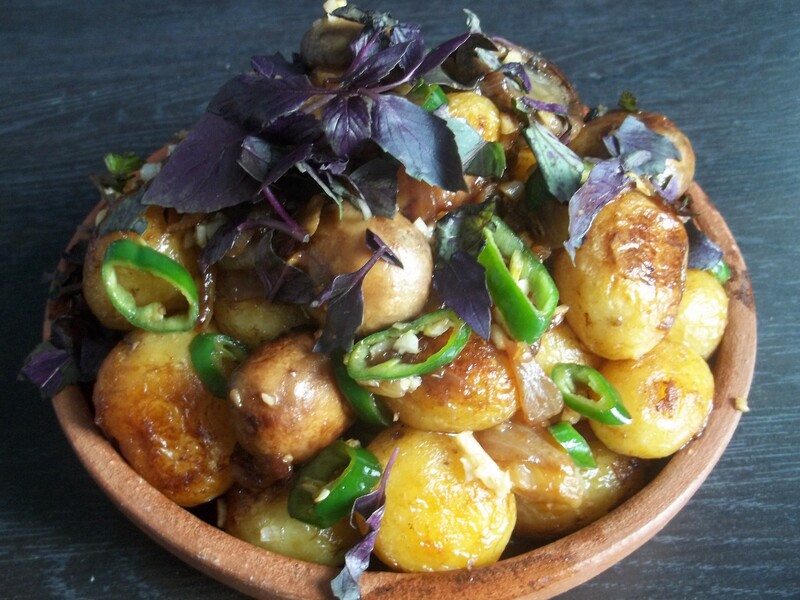 Ingredients (4 servings): 700 grams of small new potatoes, 500 grams of mushrooms, 6 cloves of fresh garlic, 2 hot green peppers (or mild if you prefer), 2 large onions, 50 grams of fresh purple basil, oil and coarse salt (according to taste). 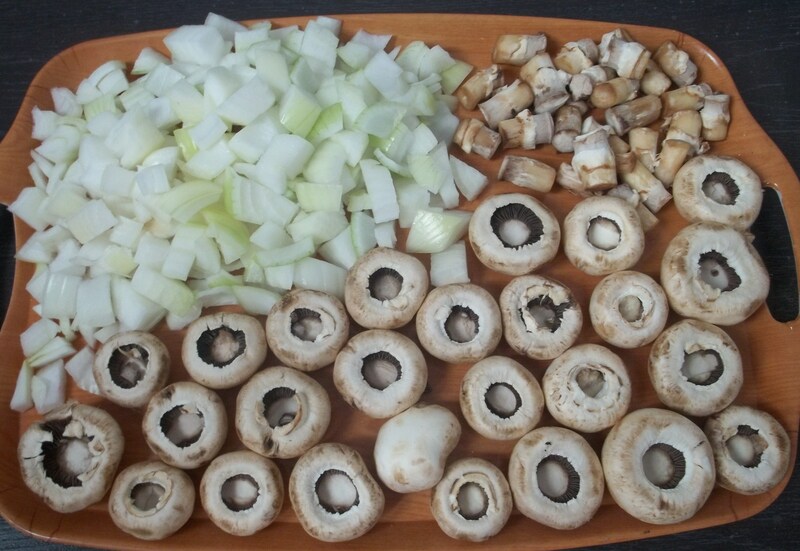 Preparation: Add oil to a large pan, ensuring that it covers the whole base of the pan. When the oil is hot, add the potatoes (spread evenly). Cover and fry on a low heat for about 20 minutes, turning after 10 minutes to ensure even cooking. 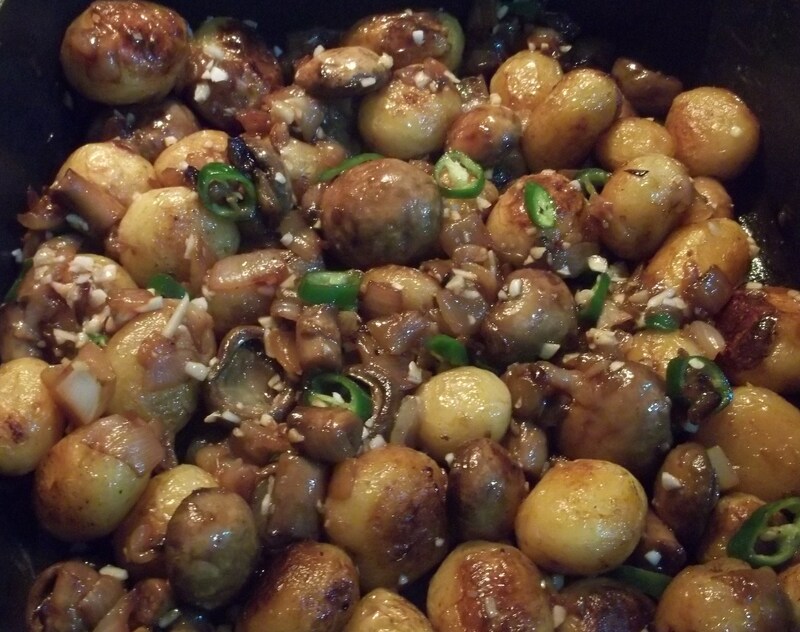 After 20 minutes, use a knife to see if the inside of the potatoes are soft. 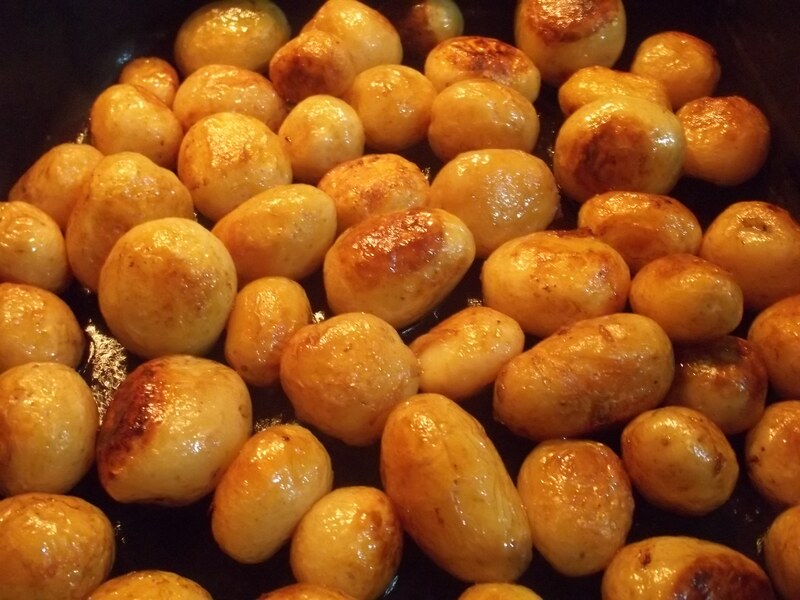 Increase the heat to medium and continue frying (uncovered) until the potatoes brown and crisp and look like the ones in the picture below. 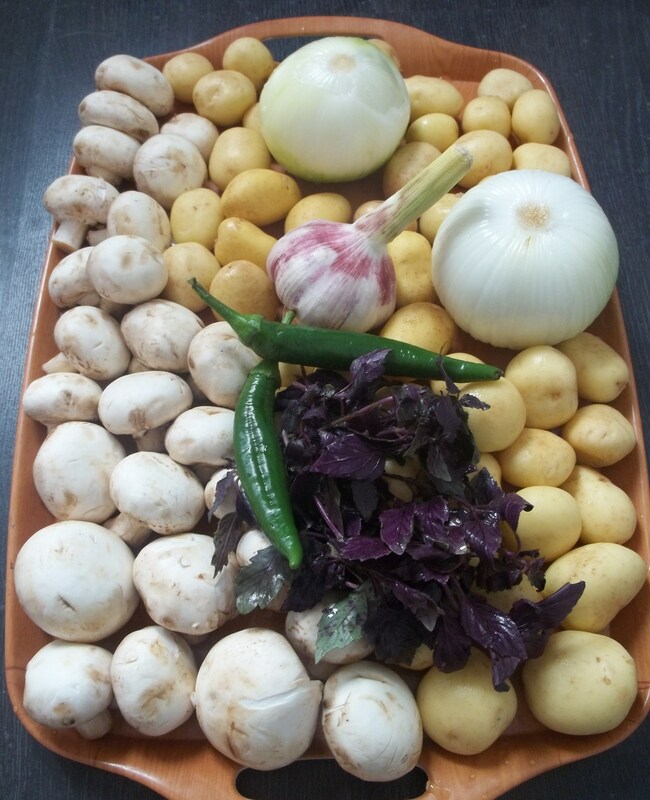 Whilst the potatoes are frying, chop the onions and remove the stalks from the mushrooms. Add oil to a large pan, ensuring that it covers the whole surface. 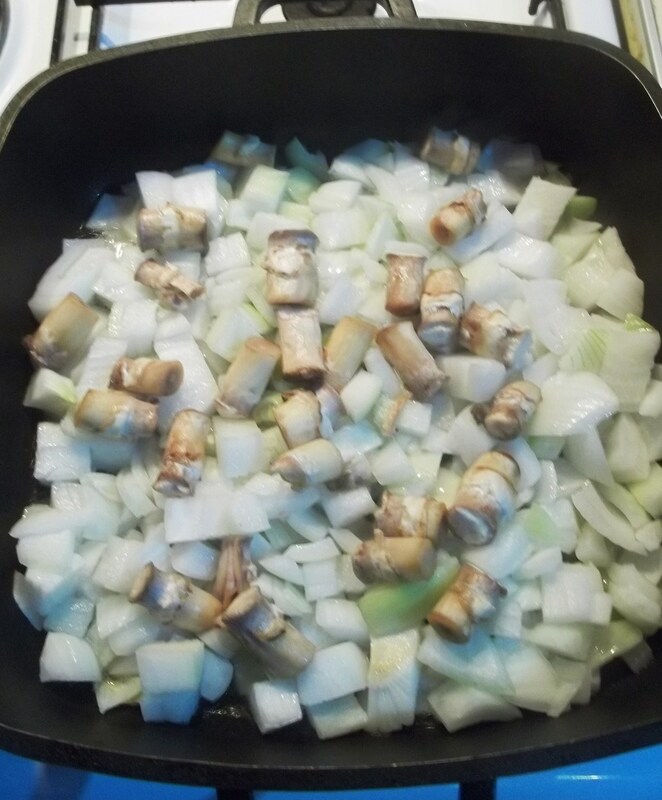 When the oil is hot, add the chopped onions and mushroom stalks to the pan. Cover and fry on a medium heat for 7-8 minutes, stirring occasionally. Add the mushroom tops. Cover and fry on a medium heat for 20 minutes, stirring occasionally. 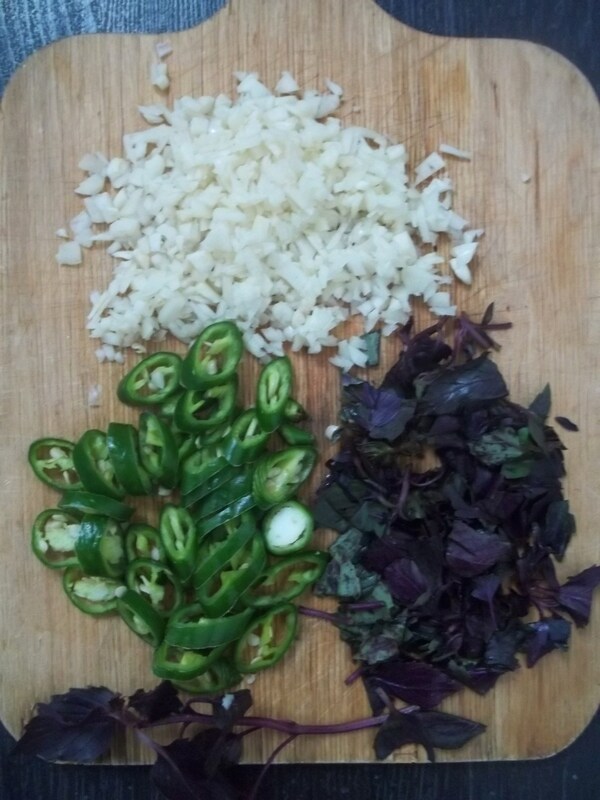 Whilst the mushrooms and onions are frying, chop the garlic and chop the purple basil and green peppers. Do not crush the garlic or it will overwhelm the flavor of the dish. 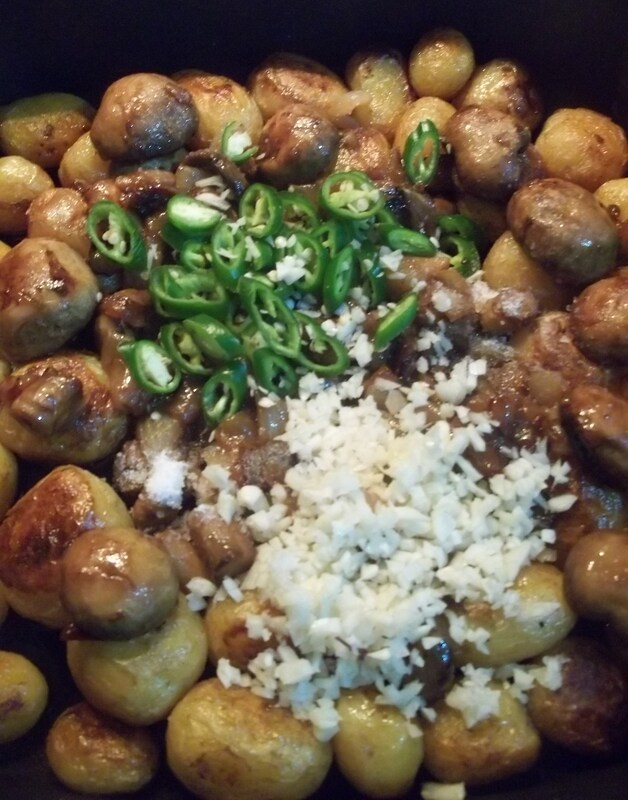 Add the fried mushrooms and onions to the pan containing the fried potatoes. Add the the garlic, purple basil, green peppers and salt. Stir carefully and continuously for 2 minutes on a high heat. Serving: Garnish with purple basil and serve hot. I love your website and cook from it every week. the recepies are greate and its very important that they are photographed. I would like more Georgian cake and desert recepies. now I make dahbaulbi with wallnuts and noga cake and pahlava – I got it from a Georgian cookbook. Thank you for your lovely message. 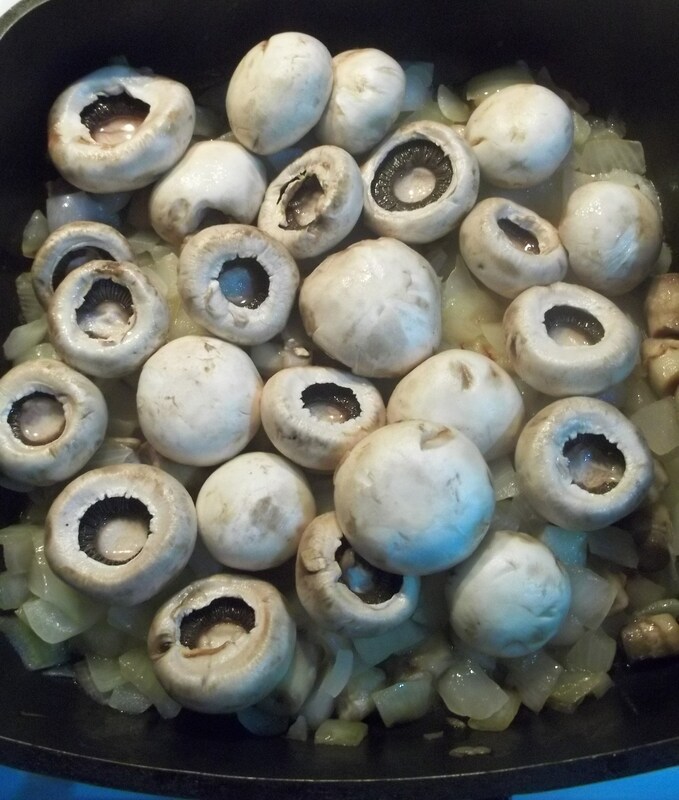 I am pleased that you find the step-by-step photo recipes helpful. I will be publishing more desert recipes soon. Have you tried pelamushi?